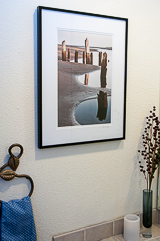 My fine art framing is perfect for your walls, making the image and your room look smart, clean and contemporary. The Prints are standard sizes of 8x10, 11x14 and 12x18 inches. Larger sizes are also available for most images. The prints are made from digital file using photographic processes on glossy photo paper. The prints are finished with hand made white double mats. The material is museum quality Crescent cotton rag mat board. The quality of the mat assures that the mats will not fade over time. The mat widths run between 2 and 3 inches. Each piece is signed in pencil in the lower right corner of the mat. The frames are 1/2 inch black anodized brushed aluminum Nielson frames. These frames look really clean, contemporary and are sturdy, durable and easy to work with. The frame sizes are shown below for their respective print sizes. The glazing is 1/8 inch picture glass. You can order through my contact form and I will contact you to meet your particular needs and arrange payment and delivery. I've joined up with iStockphoto for some of my stock work. Take a look at them at the website. Click below to check them out. "It was really very nice of you to make so many trips to our home and make sure everything was perfect. 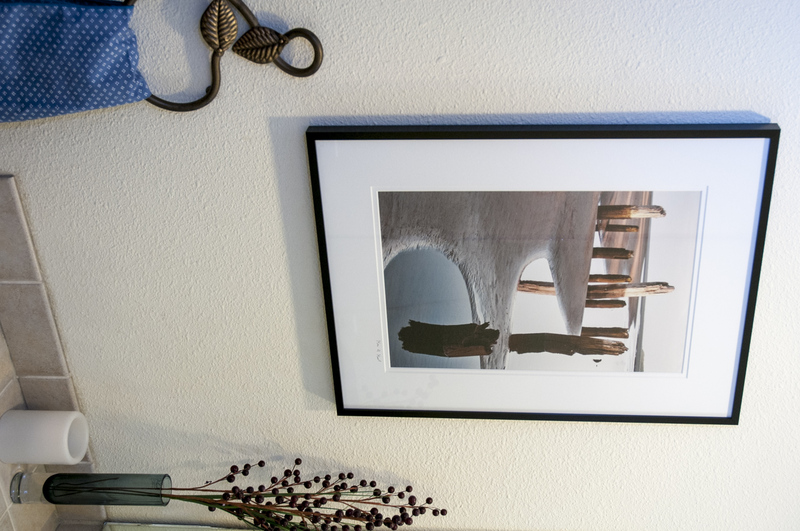 We have the picture up on the wall and its a great addition to our home decor!" "I'm picky about photography. A lot of it doesn't look like art - too postery. Yours looks like art." "Your photography is straight forward, no fancy stuff."